Radon is a cancer-causing radioactive gas formed by the natural breakdown of uranium in the soil. The IEMA and the American Lung Association in Illinois (ALAIL) have released a new video to help educate home buyers and real estate professionals on the dangers of radon and raise awareness about the issue in order to reduce radon exposure. Watch the embedded three-minute video below to learn more about radon and how to prevent exposure. The Illinois Radon Awareness Act became state law on Jan. 1, 2008. The act requires home sellers to provide anyone buying a residential property in Illinois with information about the dangers of radon exposure and that radon is the leading cause of lung cancer in non-smokers and the second leading cause overall. “This video is a quick, simple way for real estate agents and home sellers to provide this important required information.” says IEMA Director James K. Joseph. The law does not require that sellers or for buyers to test homes for radon before sale. It also does not require any radon remediation work for homes be completed if test results show potentially high levels of radon. However, if a radon test has been conducted on the home, the Illinois Radon Awareness Act requires sellers to share the results of a radon test with potential buyers. 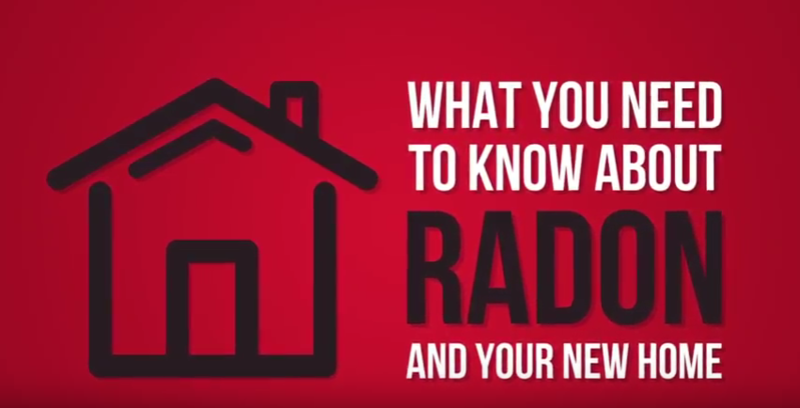 This new video from the IEMA continues to help spread information about radon to the public. In January, governor Bruce Rauner declared Radon Action Month to encourage Illinois residents to test their homes for radon. For more information visit the IEMA Radon Information website. For radon information by telephone you can call (800) 325-1245 (Information Line) or to speak to an IEMA Radon Program staff member call (217) 782-1325.